At least eight civilians were killed on Tuesday in the heaviest Russian bombardment in days of rebel-held areas of Syria's second city Aleppo, a monitoring group said. 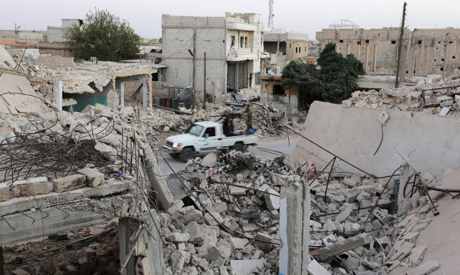 The Syrian Observatory for Human Rights said eight civilians were killed in the Bustan al-Basha and Fardos districts in the east of the city. "This is the heaviest Russian bombardment since the Syrian regime announced it would reduce the bombardment" on October 5, said Observatory head Rami Abdel Rahman.